Following sold out performances in 2011, we are delighted to welcome a new production by Awkward Stranger in association with Hame Productions of Doorways in Drumorty, a play by writer Mike Gibb known to audiences from the likes of Mother of All the Peoples, Five Pound & Twa Bairns and Sunday Mornings on Dundee Law. 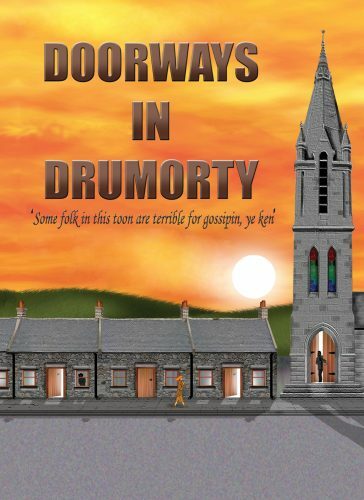 Doorways in Drumorty is based on the work of Strichen author Lorna Moon and interweaves stories of the lives and loves and gossip of the inhabitants of a small Scottish village. The play economically captures, fillets and skewers community life in rural Scotland in the 1920s, an era of twitching curtains, and along the way provides humour and pathos in equal measure. Doorways in Drumorty is a witty and vivid production exploring issues of morality and questions of loyalty, community and family. The visit to Aberdeenshire is part of a major Scottish tour of the play.